The Core i5 2500T performs so well you can almost forgive Intel about the lack of overclocking potential... almost. Hitting the low-powered, green gamer is Intel's Core i5 2500T. We've already had a good look at Intel's Core i5 2500K processor; it's getting a reputation as the go-to chip if your budget won't quite stretch to an Intel Core i7 2600K. 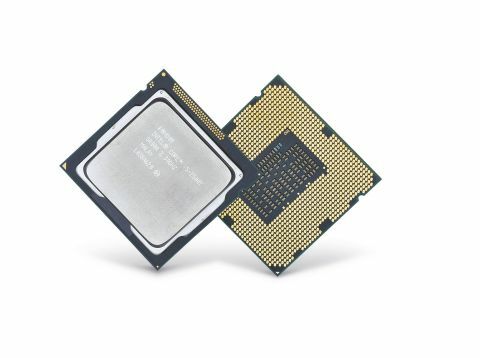 Although it's getting all the attention as the flagship chip in the second generation Core i5 line-up, there are a couple of other interesting family members. Not because of their overclocking ability – they don't really have any – but because they're low power chips. The most interesting one of these is this Core i5 2500T. It's the T part of the name that's the important bit – it means that the chip has a TDP of just 45W. That may still sound like a fair old chunk of power, but it's a remarkable 50W lower than the 2500K. On the flip side, unlike the 2500K, the multipliers aren't unlocked so there's not a lot you can to improve on the default 2.3GHz (3.3GHz with Turbo) clock speed. It's not the only lower-power member of the family – there's also the 2500S. The S series of chips have slightly higher TDP of 65 Watts.